ATC-SD manufactures fiber-coupled laser diodes with emission wavelength of 660-670, 800-810 or 950-980 nm and broad range of output power. Th laser diode is pressurized into a special case presented on the drawing below. The case can not be dismantled. The laser radiation is conducted through an optical fiber, connected to the case with a standard SMA-905 optical connector. This allows the use an optical fiber of any desired length, and allows for easy replacement. 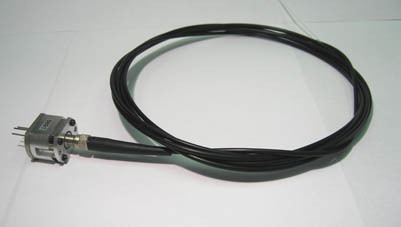 The optical fiber ends with an open cleave, SMA-905 optical connector or an "optical pen", which is actually a convenient handle for an open-cleave output facet. The monitor photodiode, serving to control the emitted laser power, could be mounted optionally into the case. The case is made of aluminum, the case base is made of copper with nickel coating, and the pins are made of Covar. 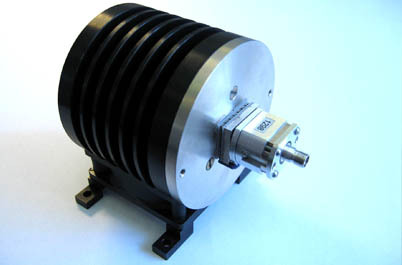 The fiber-coupled module could be used together with an ATC-03H cooling head. 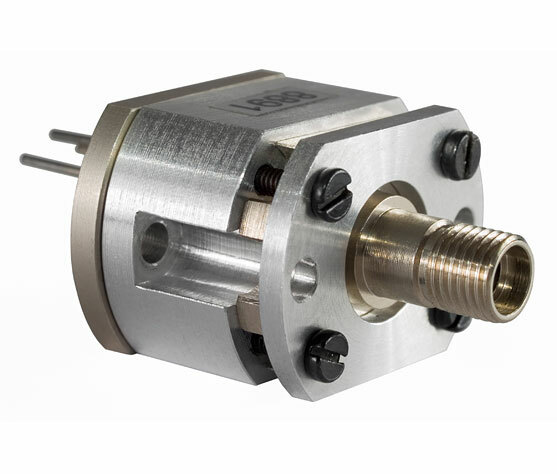 This ensures proper temperature of the working laser diode. Combining these devices with LDD-10 driver, you can get a completely functional fiber-coupled laser system.